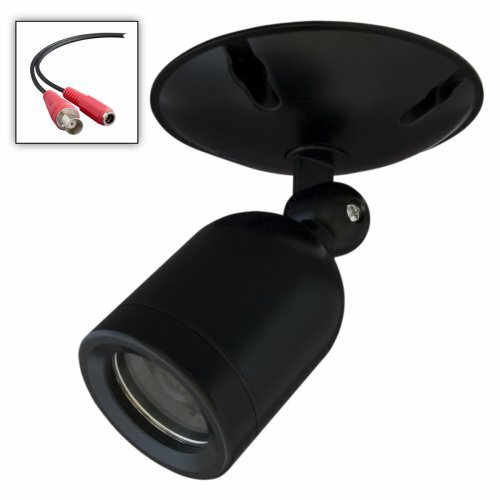 This general purpose security camera mounts to a typical round 4 inch junction box and is viewed with a security monitor. Other junction boxes from your local hardware store may also be used after replacing the round base with another that has a 1/2 inch diameter hole for the elbow bracket. To view the camera on a single standard television, use the TV's composite RCA Video input jack.